Well folks, there goes October. And what a scary, spooky and monster filled month it was! A month that introduced us to Horror Top Trumps, a scary Sweet Mascot, and even a creepy Cute Mascot! Along the way we got to see some fantastic designing and crafting from Dino Eat Pooter, Riley McD, Borked Planet, OMG! Lia? and many more besides. And let’s not forget the Zombie Mascot’s Halloween puzzle. Did you work out which Mascots donated which body parts? Fantastic! 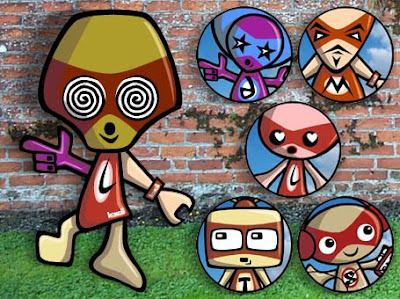 It was the Disco Mascot (right hand), Muscle Mascot (left hand), Lovestruck Mascot (body), TV Mascot (right leg), and the Stereo Mascot (left leg). Wow! Isn’t medical science just fascinating? Be sure to come back next month for more kawaii crafts, goodies, puzzles and more!